Here is a sample of some of Lara’s favorite performances. More videos can be seen on Lara’s YouTube channel. Lara performs with two swords at Rakstar 2014 in Miami to “Unveiled” from the album “Angelika Unveiled” composed and arranged by Raul Ferrando. Lara performs in Las Vegas to music by Mario Kirlis. Choreography is a collaboration between Lara and Aziza of Canada. Lara performs a vintage sword piece reminiscent of 1970’s era dancers to the classic song Misirlou. Lara performs a piece in tribute to the 1950’s Golden Age of Bellydance. Lara performs a sword dance to Donyeti by Amir Sofi at the 2013 Miami Bellydance Convention Gala Show. Lara performs a sword dance to Eftatah by Roger Abboud during the initial audition round of Project Belly Dance which won her People’s Choice to go on to round 2. She ultimately went on to become one of the Final Six. 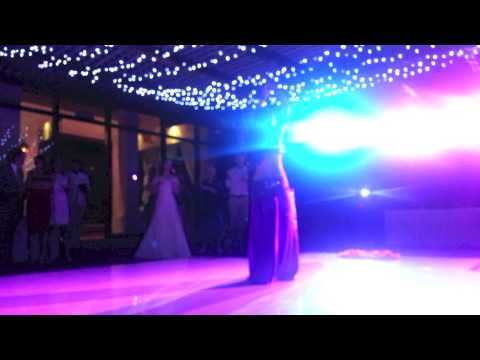 Lara belly dances at a wedding in Mexico. Snippets from a typical event performance are shown including a traditional three part Arabic show consisting of an exciting veil entrance, a sensual sword dance, and upbeat drum solo followed by audience participation of the bride, groom and their guests. 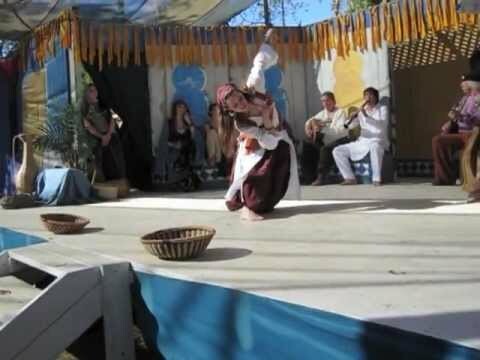 Lara performs an exciting drum solo with sword on top of tabla (drum) at the 2012 Jewel of the Sierra where she received 2nd Place in the props category. Lara performs and exciting oriental choreography including veil work and a drum solo. Music is Leila from Star Dance Vol. 1 by Ibrahim El Samahy With Hani Issa & Housam Ghafour followed by Solo Tabla from Arabic Dance Ensemble by Adam Basma. Lara improvises with a veil to live music performed by Pangia at the Jewel of the Sierra in Placerville, CA. Lara performs a tea tray dance in the Specialty Prop Category at BDUC ’12 in Long Beach, CA where she placed 3rd runner up. Music is \”Longa Farafaza\” by Turbo Tabla. Videography by Arnie’s Productions. Lara performs at Wiggles of the West 2010 in Las Vegas, NV. Music is Agoul Ahwak by Haifa Wehbe. Lara improvises to the music of the Silk Road Caravan at the Northern California Renaissance Faire, October 2011. The song is Qalandaram. Costume made by Lara.